BRISTOL, Conn., April 16, 2012 – The Los Angeles Sparks made Nnemkadi Ogwumike of Stanford the top overall pick of the 2012 WNBA Draft presented by Boost Mobile. 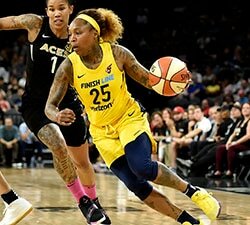 Shekinna Stricklen of Tennessee, selected second by the Seattle Storm, and Devereaux Peters of Notre Dame, tapped by the defending champion Minnesota Lynx, rounded out the top three picks. The 2012 WNBA Draft presented by Boost Mobile was conducted at ESPN headquarters. Ogwumike, a three-time finalist for both the Wade Trophy and Wooden Award as the nation’s top collegiate player, led Stanford to four consecutive Final Four appearances. A product of Cypress, Texas, Ogwumike earned Pacific-12 Player of the Year honors twice – first as a sophomore and again this past season when she led the conference in scoring and defensive rebounds while averaging a double-double. 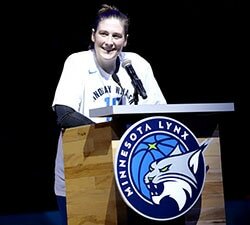 The Lynx, which held the third pick by virtue of a trade with the Washington Mystics prior to the 2011 season, entered the day with six selections in the three-round draft, the most of any team. Minnesota, which last year used the No. 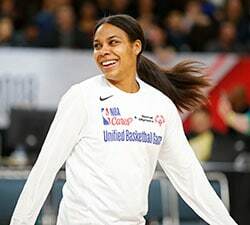 1 overall pick to draft Connecticut star Maya Moore and went on to win the first WNBA title in franchise history, closed out the first round by selecting Brazilian Damiris Dantas with the 12th overall pick. 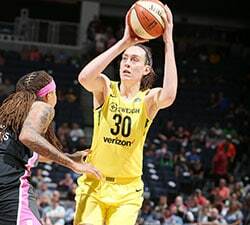 With the fourth and fifth selections in the first round, the Tulsa Shock chose Glory Johnson from Tennessee and the San Antonio Silver Stars took Shenise Johnson from Miami. Peters enters the professional ranks having guided Notre Dame to consecutive NCAA title games. A defensive stalwart, Peters earned BIG EAST Defensive Player of the Year honors each of the past two seasons, becoming only the fourth player in conference history to accomplish the feat. Peters missed large portions of her first three seasons at Notre Dame due to two ACL injuries and three related surgeries. The complete draft order follows.